It's time for my next monthly Pinterest inspiration board and for March it's all about Going Green. You can find the new board here + all of my previous monthly boards for 2014 are available too. Green is my favorite color and right about now when we have sub-zero temperatures and snow on the ground, it seems I dream of green. 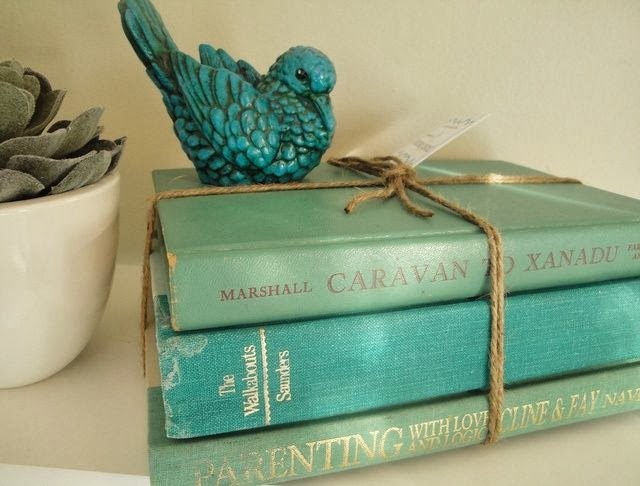 It was certainly easy to browse through my other Pinterest boards to find inspiration with the color green. I hope you'll give my Going Green Pinterest board a look and hopefully find some fun inspiration for the month. 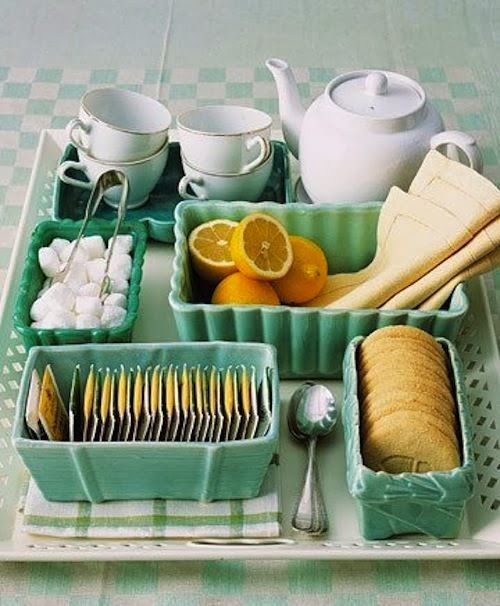 Here's a few sample photos from my Going Green Pinterest board. These lovely crayons, paint chips and a scruffy paint brush all make me want to dive into my art supplies. Some day. 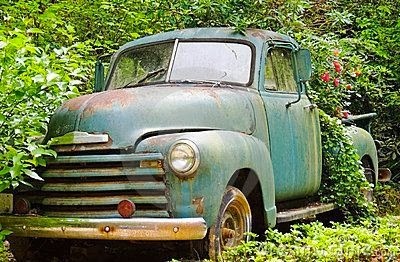 Ahhh, I will own an old green pickup truck. Jadeite colored vintage dishes and vases. Be still my heart. Maybe my Going Green board will prompt a color change with some of your home decor. Quotes and lettering. White ink on a green background would go so well in my home. 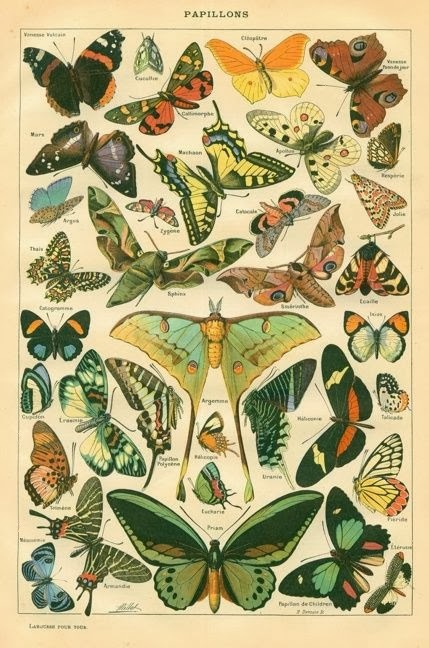 Vintage illustrations of botanicals, birds and butterflies. Maybe I'll give watercoloring a stamped butterfly a try this month on some cards. So many beautiful shades of green. 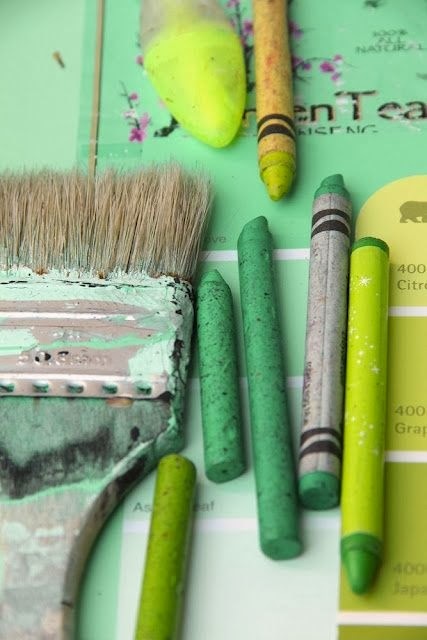 There are so many fun pairings of greens with other colors in my Going Green Pinterest board photos. The inspiration really gets to flowing when I visit this board. Just wanted to say thank you. 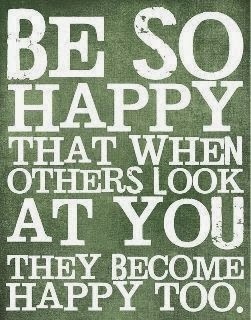 I love the quote you posted. I will be adding this to my art journal.